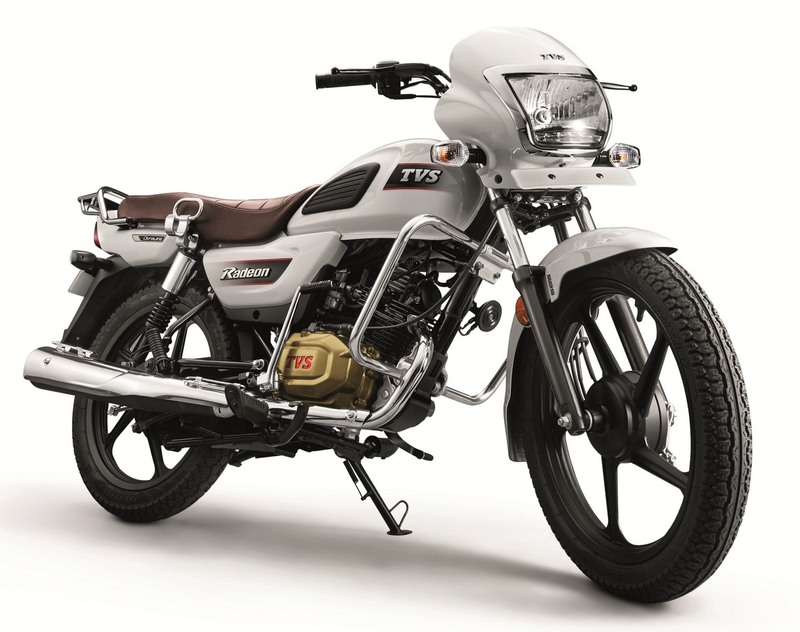 TVS Motor Company has announced that their 110cc commuter motorcycle, TVS Radeon, has crossed the 1 lakh sales milestone. It has achieved the feat within 7 months of its launch in the market. TVS Radeon promises a sturdy and reliable experience for its customers with a solid body and a strong steel tubular chassis. The motorcycle is equipped with Synchronized Braking Technology, which provides superior braking control and minimises skidding, thus ensuring the safety of the rider. The key advantage of Synchronized Braking Technology is that it reduces the braking distance and improves stability, while braking. SBT ensures that the front brake is automatically engaged whenever the rear brake is applied. TVS Synchronized Braking Technology further enhances the braking performance of the vehicle, by reducing braking distance upto 10%, with respect to comparable braking systems. TVS Radeon has a unique classic look with its petrol tank’s ribbed thigh pads, a chrome finished speedometer, shock absorber shroud and silencer. It houses a long-lasting 109.7cc Dura-Life engine, which is designed to offer an optimum combination of power and fuel economy. The motorcycle churns out 8.4 PS of power @ 7000 rpm with a torque of 8.7 Nm @5000 rpm. TVS Radeon is equipped with 10-litre tank and clocks a fuel economy of 69.3 kmpl2. With a 5-year warranty, TVS Radeon comes in a colour selection of White, Beige, Purple and Black. That is some serious number. The bike was intelligently priced in my opinion! Now that's really good selling, its got to have clicked with the masses somewhere. I guess sales mostly coming from second tier towns/cities. A step in right direction by TVS, they can surely crunch some good number of sales pitching it against Hero Splendor. All times are GMT +6.5. The time now is 09:37 AM.